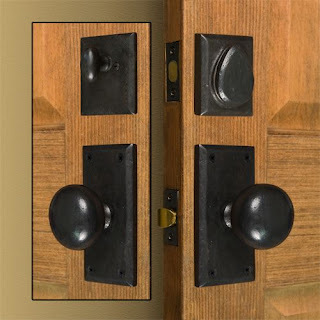 My front door is going to be built soon, and so hardware decisions need to be made! Talk about an overwhelming number of choices.. I've been all over the board on what style I like. In the end, simplicity won out, as it should. I chose oil rubbed bronze for the finishes. I love the simple lines on both. Amy thinks she has found a welder for me to help me do the wrought iron decorative design on the door! I'm really excited to connect with him and exchange ideas. And I am SO pleased to be researching something other than windows. They were wearing me out. It's fun to be making decisions though!